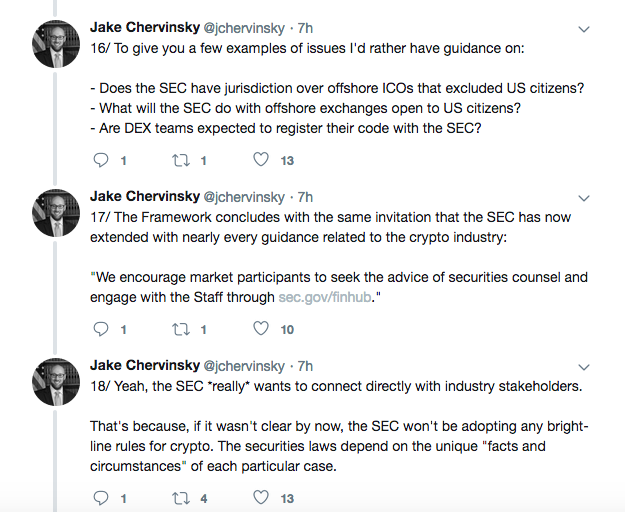 The U.S. Securities and Exchanges Commission [SEC] was the highlight of the cryptocurrency space after they released a framework on how to analyze which tokens can be classified as securities. Several members in the community consider this guidance to be one of the few steps taken by the commission to regulate the space. This was followed by the lawyer stating that he agreed with some of the critiques made by his colleagues, adding that some points mentioned in the framework were either “painfully obvious” or “painfully vague.” According to him, there were some points that seemed “nearly impossible to satisfy,” adding that they were wrong and would not hold up in court. 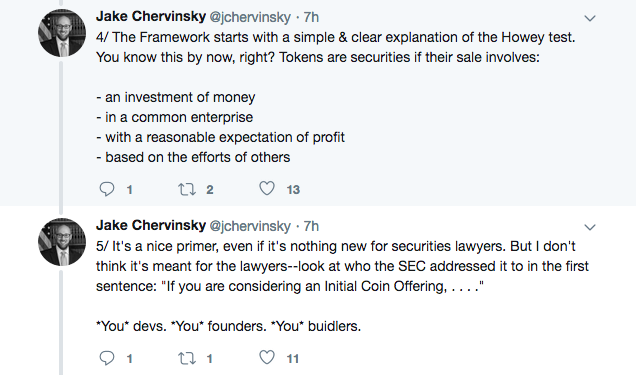 For this, he cited the example of airdrops mentioned in the framework, which stated that airdrops could also be considered as a distribution or sale of securities. 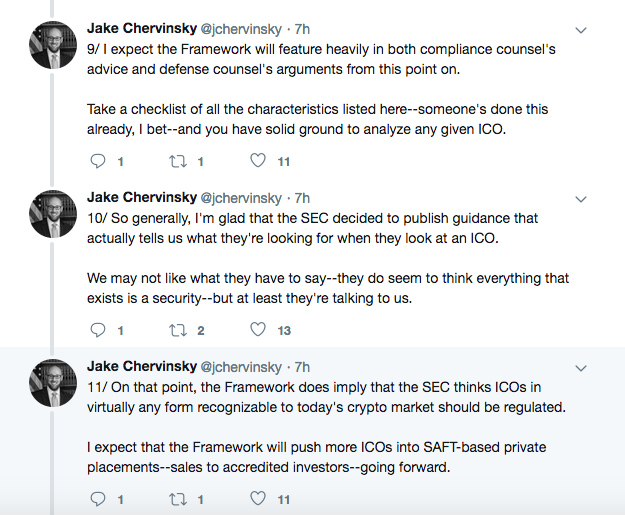 The post SEC’s framework does not answer any big questions about cryptocurrency regulation, says Jake Chervinsky appeared first on AMBCrypto.